PORTLAND, Ore. (AP) — An FBI agent was set to appear in court Wednesday on charges that he lied about shooting at a key figure in last year’s armed occupation of a national wildlife refuge just before the man was killed by Oregon police. The inspector general of the U.S. Justice Department in March 2016 began investigating possible FBI misconduct and whether there was a cover-up. That investigation led to the indictment against the agent, W. Joseph Astarita. Robert “LaVoy” Finicum, a spokesman for the group that took over the remote bird sanctuary to oppose federal control of land in the Western U.S., was fatally shot Jan. 26, 2016. Oregon State Police opened fire after he got out of a vehicle at a police roadblock, held up his hands and then reached toward a handgun that he kept in an inner jacket pocket. 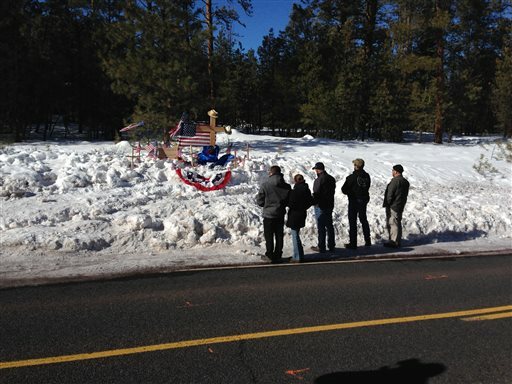 Investigators determined the troopers were justified in shooting Finicum but also found members of an FBI hostage rescue team at the scene failed to disclose that they fired two rounds that missed the Arizona rancher. Finicum’s widow, Jeanette Finicum, has said she plans to sue Oregon State Police and the FBI, alleging the use of excessive force in her husband’s death. Nobody answered a call to her number Wednesday, and her lawyer, Brian Claypool, did not return a message seeking comment. 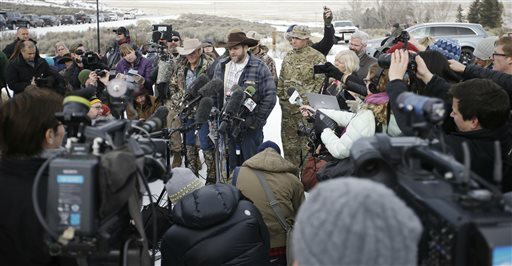 Dozens of people, including leader Ammon Bundy, occupied the remote Malheur National Wildlife Refuge about 290 miles southeast of Portland, from Jan. 2 to Feb. 11, 2016. They were allowed to come and go for several weeks as authorities tried to avoid bloodshed seen in past standoffs at Waco, Texas, and Ruby Ridge, Idaho. But authorities moved in Jan. 26 when key standoff leaders left the refuge to attend a community meeting, pulling over two vehicles and arresting the occupiers inside. Finicum, 54, was driving one of the vehicles. Video taken by one of his passengers showed the occupants panicking after authorities stopped the truck. Finicum then sped off. He was driving more than 70 mph when the truck came to a roadblock and plowed into a snowbank. Authorities say the FBI agent fired two errant shots as Finicum left the truck. As Finicum stood in the snow, authorities told him to lie on the ground. Instead, he reached toward his jacket, leading state troopers to fire three rounds, all of which hit him. Most occupiers left the refuge after Finicum’s death, though four holdouts stayed an additional 16 days. Federal prosecutors tried to convict occupation leaders Ammon and Ryan Bundy and five others in a trial last fall but jurors acquitted them of charges of conspiring to impede federal workers from their jobs. Jurors convicted four men in a second trial. An additional 14 people pleaded guilty without going to trial. The Bundys and others are now facing trial in Nevada on conspiracy charges in a 2014 armed standoff with federal agents. We are all better off when the whole truth is known.